My reason #5 is a doozy! this one could actually be divided into four or more individual reasons – but I'll put them all together in reason #5 because I have a few others waiting in the wings! and more will be coming in future tutorials and posts! 8 comments to ''Why I love KISSlicer: Reason #5"
I have been enjoying the KISSlicer features. Your tutorial have really drawn me in to using it as a slicer. One thing I have noticed is I have my Join-Loop set to seam and get a slight bump where the extruder crosses the path and go back to the inside (end of the path). Is there a way to mitigate this? Thanks Andy. Yes there is. That's what the Set Depth and Seam Gap are for. Did you watch my video on Getting Loopy? It shows how to use these to remove that lump. I did, but I may have missed that part. I will watch it again. Thanks! Sure thing! It takes a little experimenting but it is pretty straight forward. What is the difference between linear advance (marlin) and preload? Are they doing the same thing? Or are the beneficial to have together? Which would you recommend calibrating first? John, they are not the same thing, KISS' Preload is much more advanced. I would not think it a good idea to use both at the same time. I'd stick with Preload and not bother with Marlin. That way if you switch firmware in the future you have a sound foundation of understanding Preload to draw upon. I made a long post on one of the Facebook groups I recall about the differences. I'll try to find it and post it here. But it basically comes down to one VERY important fundamental difference. KISS Preload is tuned to a specific MATERIAL whereas Marlin has no idea what material you are printing. 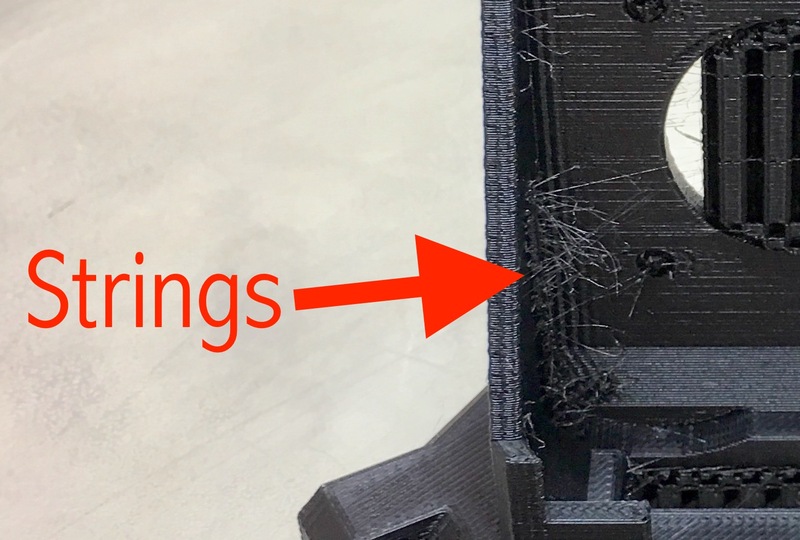 The elasticity of the filament is a primary component of extrusion that leads to oozing and blobbing. So with Marlin, if you tune for one particular filament, it likely will not give satisfactory results for a very different filament - say PLA vs PETG or TPU. That's only true if you ignore how you're actually supposed to use linear advance. You are completely correct that each material has it's own properties and would require it's own K value for the advance formula to use. That's where filament specific gcode comes in. You must perform a calibration with each material to find the correct value for K and then add the M900 in Marlin or M232 in Repetier gcode to the filament gcode. As far as I'm aware, you must set the M900 or M232 in the slicer's header code manually - that is unless you are using Slic3r PE to which Prusa added support for M900 but not M232. Also, the K factor as I understand it is not based on viscoelasticity, which is an intrinsic property of the material. It is a simple fudge factor (and I don't mean that in a derogatory way). At the end of the day, if Marlin is your firmware and you get satisfying results with licear advance, by all means use it.